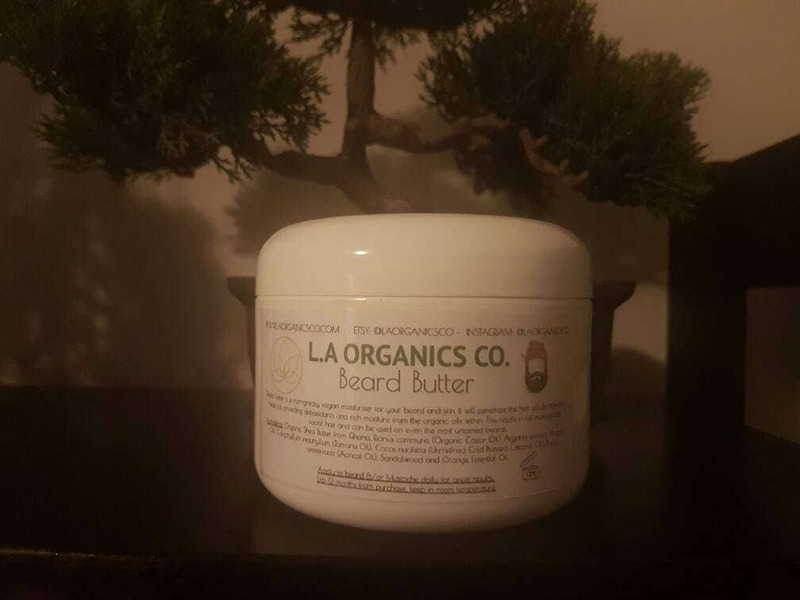 Beard Butter is a non-greasy moisturizer for your beard and skin. It will penetrate the hair follicle from the inside out, providing antioxidants and rich moisturization from the organic oils within. This results in full manageable facial hair and can be used on even the most untamed beards. Ingredients: Organic Shea Butter from Ghana, Ricinus communis (Organic Castor Oil), Argania spinosa (Argan Oil), Calophyllum inophyllum (Tamanu Oil), Cocos nucifera (Un-refined Cold Pressed Coconut Oil), Prunus armeniaca (Apricot Oil), Sandalwood and Orange Essential Oil.